The evangelical church has been trying to accomplish outreach for decades. It has organized evangelistic crusades, taught evangelism strategies, run homeless shelters, food pantries, and soup kitchens, put on concerts, sporting events, and movies to draw in unchurched people, done special service projects and outreach events, handed out bottles of water at public gatherings and conducted reverse confessionals. All of this has been done with minimal success. In What's Wrong with Outreach, Keith Edwin Schooley leads the reader through a deep reflection on this problem. 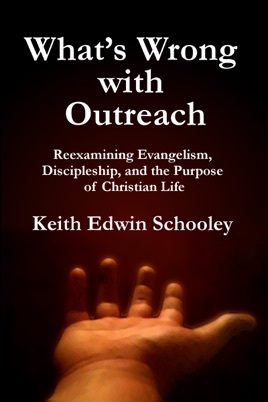 He reexamines what the Bible actually has to say about outreach and evangelism, in the larger context of what the Christian life is supposed to be about and how the body of Christ is supposed to function. What does the Great Commission really entail? How did the church go about its remarkable expansion in the book of Acts? What do the epistles tell us about the duties of ordinary believers regarding outreach? What really is our ultimate goal as believers? What part do spiritual gifts play? What is the relationship between evangelism and discipleship? Why did the early church, and churches under persecution, grow so much more rapidly than churches that are more established and free to reach out? How can we rediscover what part outreach has to play in the larger scheme of what the overall Christian life is supposed to be? Schooley leads us away from a message of guilt and shame, in which outreach is something foreign to our normal lives, something we need to "get out of our comfort zones" to engage in, and instead shows how the Great Commission encompasses much more than we might have thought, and in which each person plays a role perfectly suited to his or her gifts, talents, and interests. 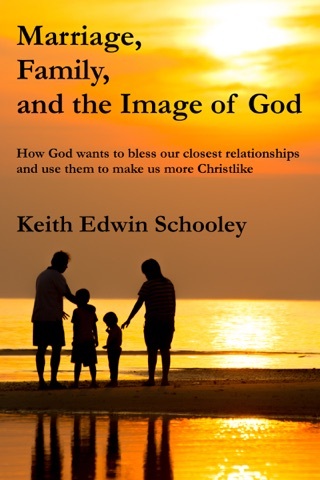 He shows how the church tends to unwittingly sabotage its own outreach efforts, and how a focus on discipleship and gifts can help us recover natural and enjoyable ways of making disciples. Are you burned out by ever-new evangelism strategies, outreach methods, and emotional arm-twisting? Are you burdened by a load of obligation to do things that just don't seem to work for you? Are you a pastor, frustrated by a lack of growth in your congregation? Then What's Wrong with Outreach is for you.